GEOBORDERS was established in January 1995. It is now one of the leaders in different commercial sectors and have a wide variety of clients worldwide including, individual travelers, large corporations, aid agencies, shipping companies, government departments and the military. 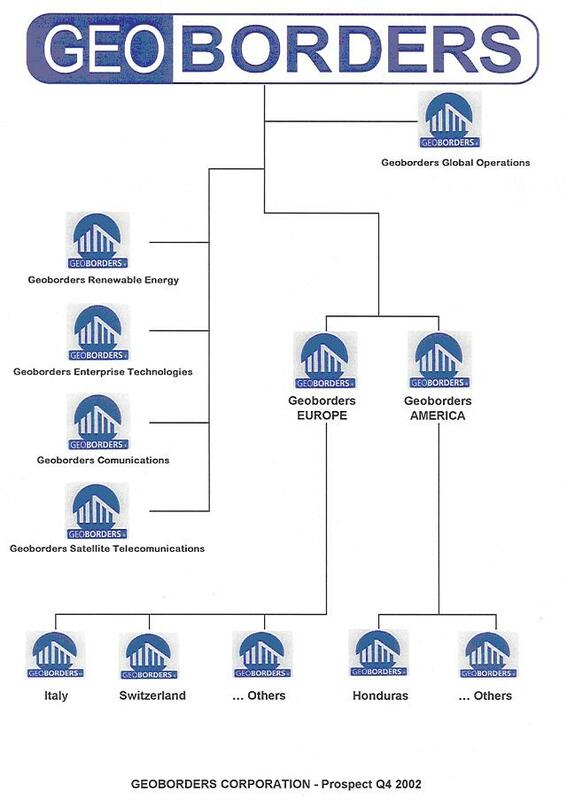 GEOBORDERS distributes its product and services via wholesale and retail channels. Mario Macchiavelli became President of GEOBORDERS on September 9, 2005. At GEOBORDERS, we believe in long-term relationships with our clients. Our goal is to be your partner in planning your working strategy, from beginning to end. GEOBORDERS has been related across the globe in remote parts of Africa, North, Central, and South America, and Southeast Asia. We understand the intricacies of working in such isolated locations and can offer creative solutions. We have formed strategic partnerships with many companies and operators around the world. In addition, our relationships with vendors of add-on-systems, such as PBX and LAN equipment, ensure that your integrated solution works smoothly, letting you focus on your business. Our network engineers analyze your requirements to ensure a reliable solution and minimize your operating costs.